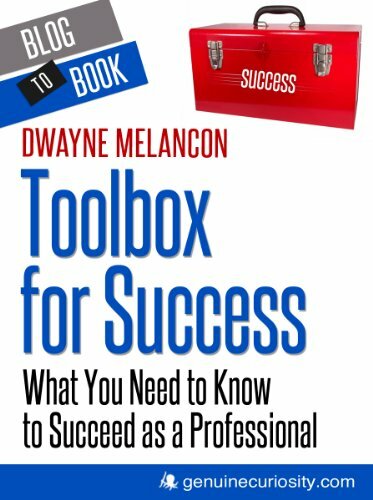 I've been working with the fine folks at Hyperink Press to produce my first ebook, "Toolbox for Success: What You Need to Know to Succeed as a Professional." I'm pleased to announce that it is available through the Kindle store. This is my first solo book (I've contributed to others), but hopefully not my last. I'd love to hear your feedback and see your reviews on Amazon (especially if you find value in the book). Also, if you have topics you'd like to see me address or incorporate into subsequent books please let me know.